Business was booming in Houston in the 1940s. Oil and shipping were the city’s two main trades, but federal spending due to World War II broadened its economic base. 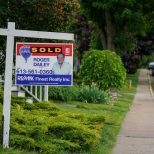 Steel, munitions and shipbuilding took off, and workers flocked to the city — minority groups began to push for equal job opportunities, and the influx of people meant plenty of new homes and other buildings went up. Scroll on to see how those and other changes played out visually in Houston. The oil trade began to transform Houston in the early 1900s, soon after the first major discovery in the state, and by the 1940s Houston was highly dependent on the commodity. 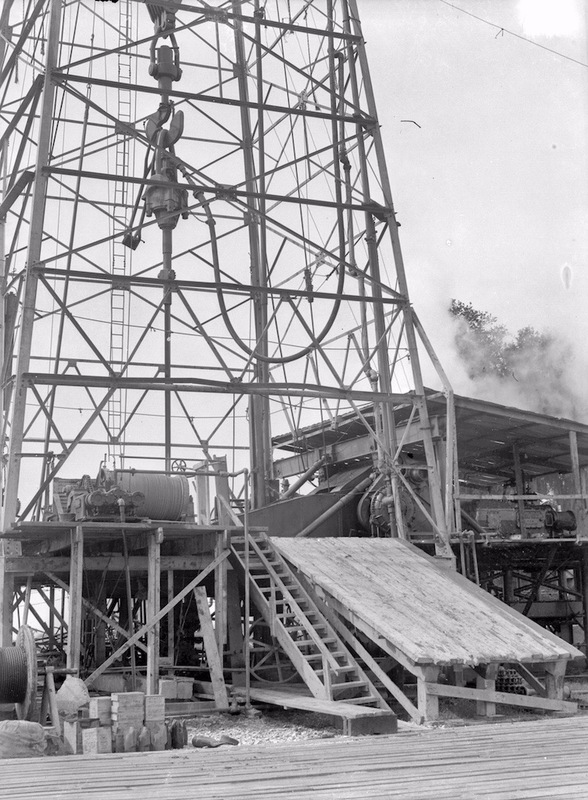 The oil well pictured above was located in Brazoria in Greater Houston. Founded in 1927, the University of Houston’s beginnings are modest — it started out as the Houston Junior College and in its first session had just 232 students and 12 faculty. 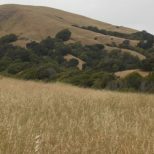 It also didn’t have a permanent campus until the 1930s, when it received a donation of nearly 110 acres. 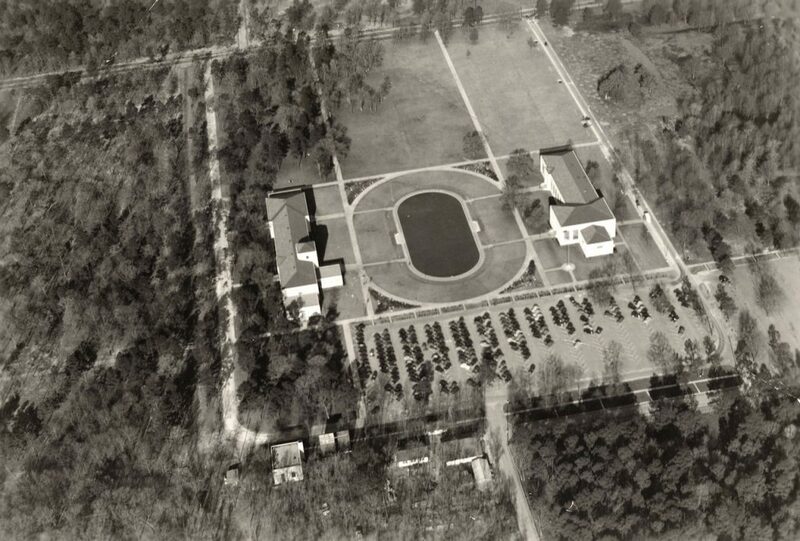 Building on the site soon commenced, and the first full semester of classes on the new campus began in September 1939. The aerial view above shows the school just after that time. Today, the University of Houston is the third-largest university in Texas, with 42,000 students and 2,300 faculty. The campus now covers a much more spacious 667 acres. 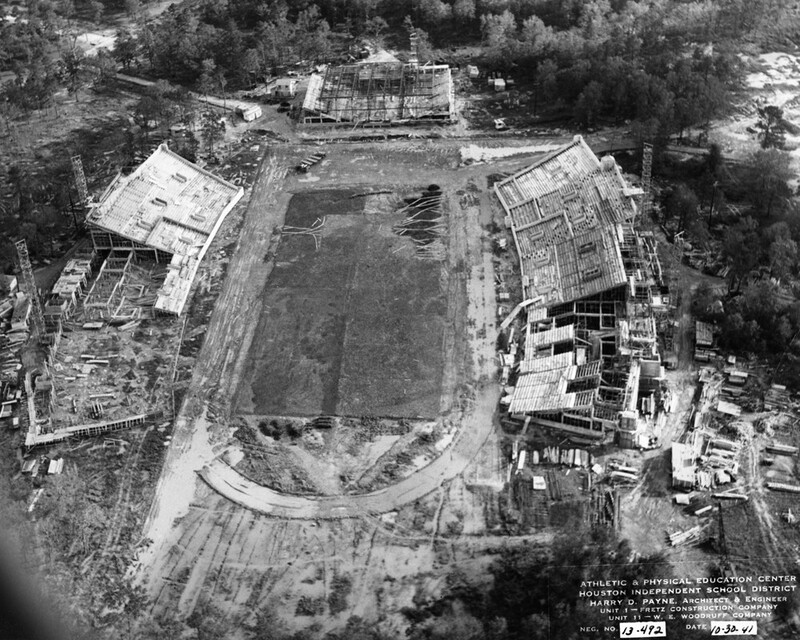 Built in 1941 as a joint project between the Houston Independent School District and Works Progress Administration, Robertson Stadium went on to become the home of various sports teams — notably the Houston Cougars football team and the Houston Dynamo, a professional soccer club. Various renovations took place over the years, but in 2012 the stadium was closed for good and demolished. A new venue called TDECU Stadium is now located on the same site. The Houston Municipal Airport opened in 1940, and was the city’s only commercial air terminal until 1954. 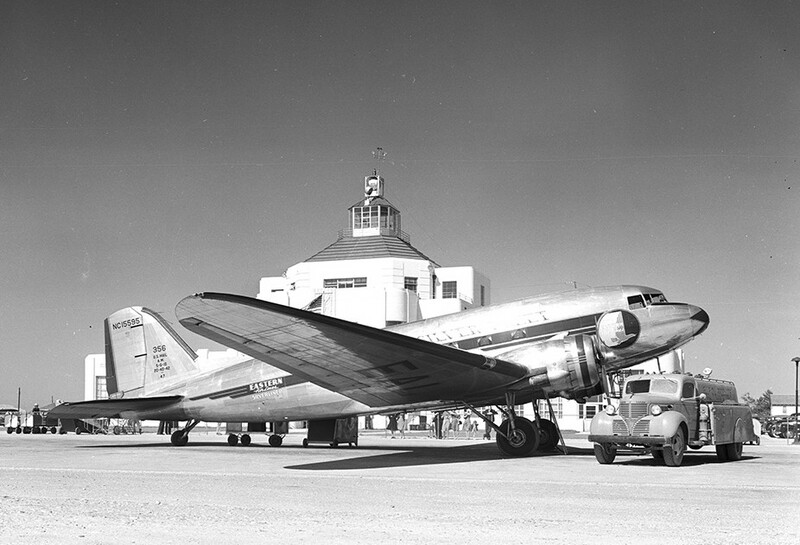 Just two airlines served Houston when the airport opened, and they flew Douglas DC-3 planes like the one in the photo above. Today, the Houston Municipal Airport is a museum at the site of the William P. Hobby Airport, and is one of the few examples of airport Art Deco architecture still in existence. Visitors can explore Houston’s rich aviation history and get a close look at operations at the current airport. 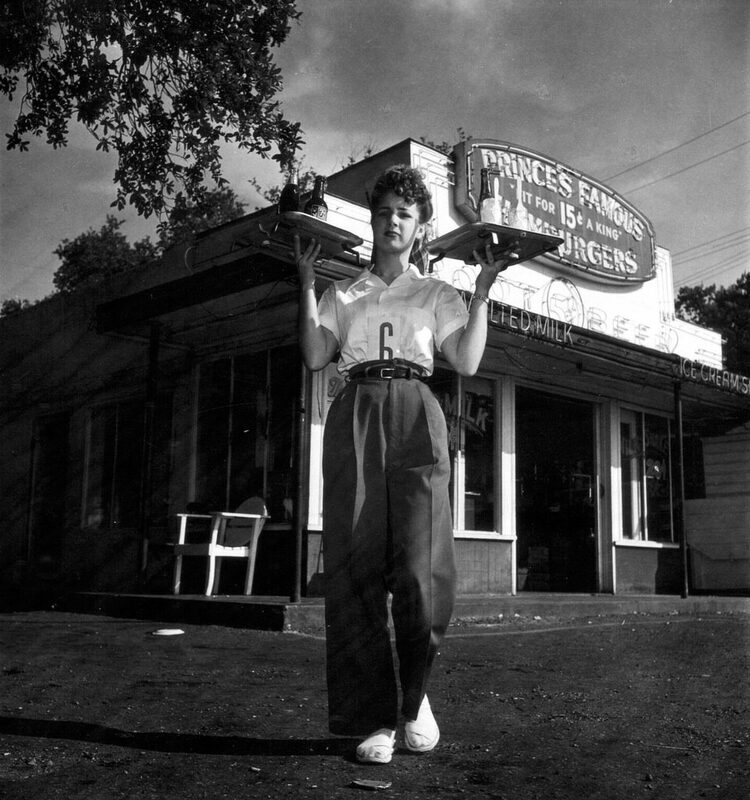 Doug Prince opened Houston’s first Prince’s Drive-in during the 1930s, and the burger joint quickly achieved incredible popularity — at one point the city was home to 18 of the restaurants! Unfortunately, as the years went by drive-ins became a thing of the past, and the last Prince’s Drive-in closed in 1990. The restaurant was eventually revived as Prince’s Hamburgers, and four locations exist today. 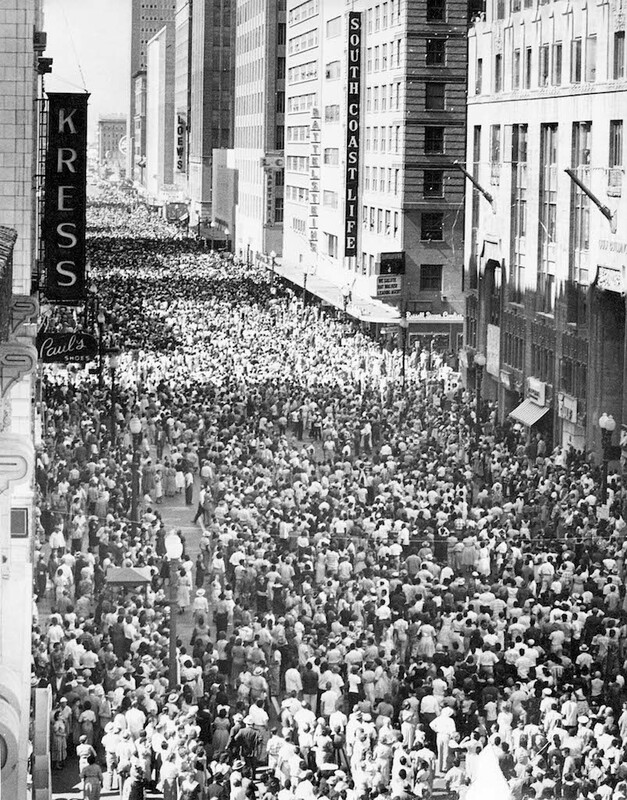 Downtown Houston is looking incredibly busy in this photo, which looks south on Main Street at Rusk Street. There’s no information available on what may have drawn so many people to the area, but the photo offers a good glimpse of what life was like in one of the city’s hotspots. Look to the left to see the Kress department store — the chain was known for the architecture of its buildings, and this particular store is now on the National Register of Historic Places. This aerial view of downtown Houston shows how many large buildings were beginning to pop up in the 1940s. 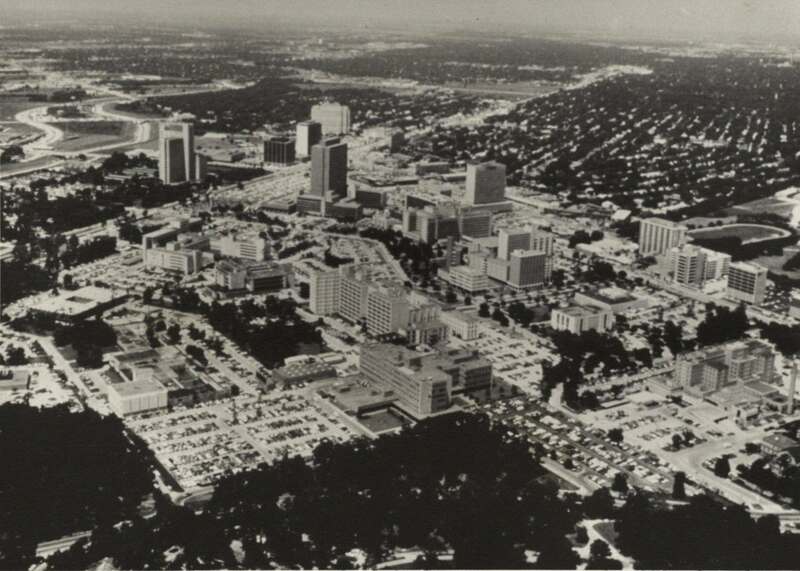 The Shamrock Hotel can be seen at the top of the photo, and the Texas Medical Center area is also visible. This closeup of the Shamrock Hotel helps give a sense of its impressive size — constructed between 1946 and 1949, it was the largest hotel built in the US that decade, with 18 stories and 1,100 rooms. Founder Glenn McCarthy, who made his money in Texas’ oil fields, saw the building as being sized for conventions, “but set in a suburban locale and imbued with a glamorous, resort-like atmosphere.” Its flashy interiors were reportedly criticized by many, including famed architect Frank Lloyd Wright. 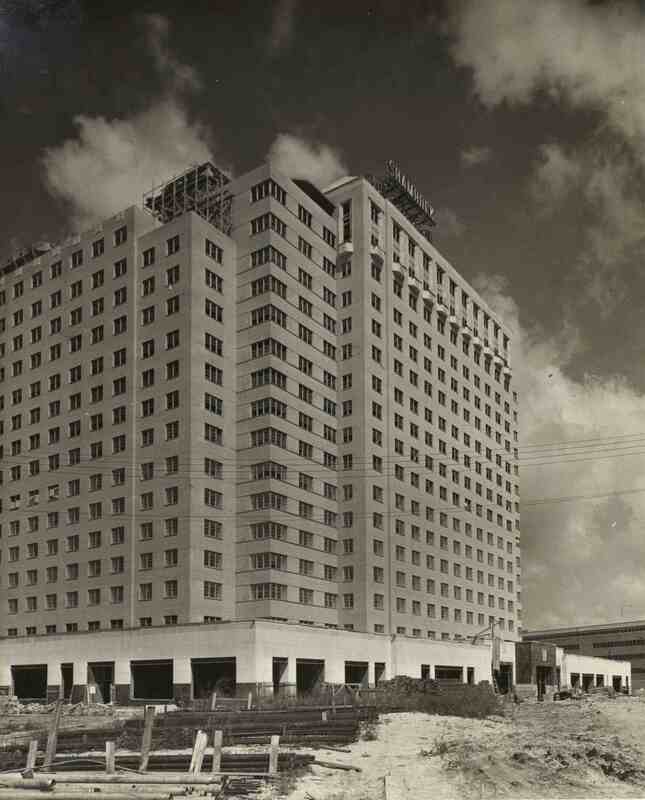 The hotel’s grand opening was one of the biggest social events ever held in Houston, but the building consistently had financial troubles. It was demolished in 1987. Located in Greater Houston, Texas City is home to the Port of Texas City, a major deepwater port both in the past and currently. On April 16, 1947, the city was rocked by what’s now known as the Texas City disaster, the deadliest industrial accident in US history, and one of the largest non-nuclear explosions. The disaster began when a fire on the “SS Grandcamp” led to the detonation of 2,100 metric tons of ammonium nitrate on the ship. 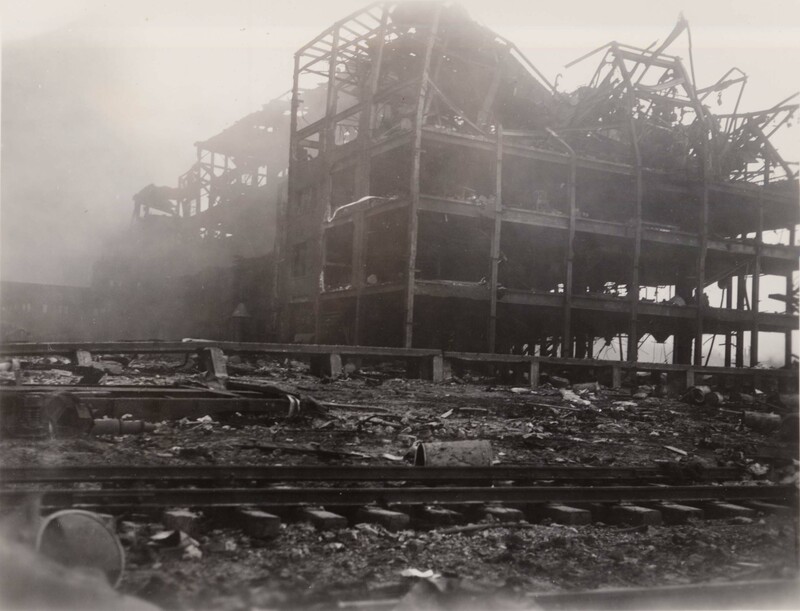 The explosion caused a chain reaction of fires and explosions on other ships and oil facilities nearby, and resulted in widespread destruction — the port was completely destroyed, and many nearby businesses and homes were obliterated or damaged. All told, at least 581 people were killed, including all but one member of Texas City’s fire department. 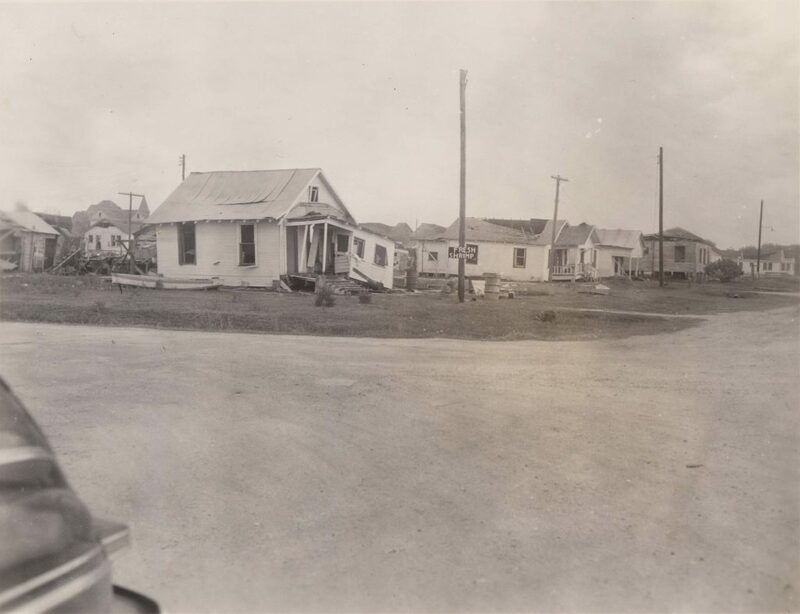 Over 500 homes were damaged in the Texas City disaster, leaving some 2,000 people homeless. In addition to the hundreds of deaths the event caused, over 5,000 people were injured. More than 1,000 vehicles were damaged, and 362 freight cars were wiped out. The Houston Ship Channel is part of the Port of Houston, and has been used to transport goods to the sea since at least the 1830s. In the 1940s, the channel was key to the city’s shipping industry. While shipping tonnages fell at the start of World War II, with five shipping lines ending service, business picked up again after the war ended. 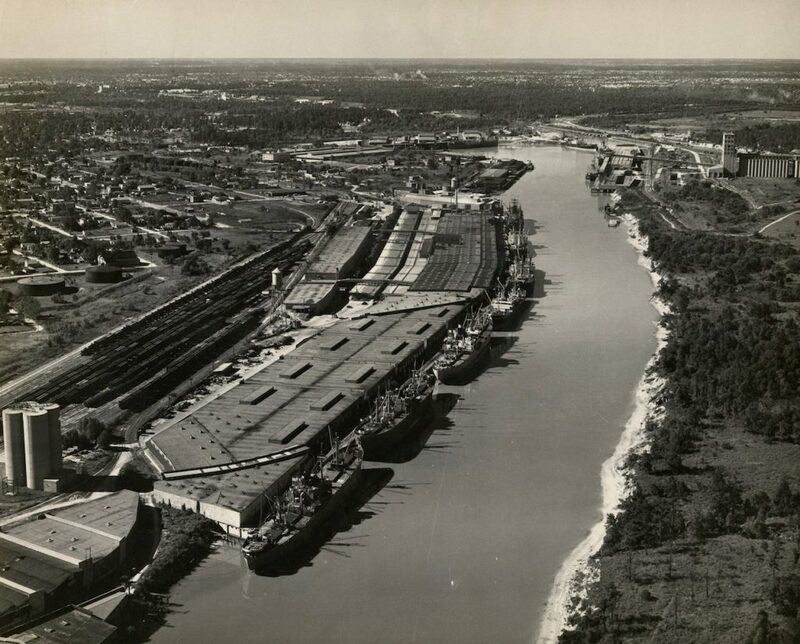 The Houston Ship Channel is still an important conduit today.